It is saved at a low price. Even decimals are packed with blister packs so we do not have to worry about damage during transportation. Since there are two fixation points by screws, attention must be paid to the stress on the board in places where there are many vibrations or force is applied to the connector section. This review is about item#87008415. I have been using it as a maintenance part before, but there is no particular problem. This review is about item#87008327. We use two here and use it as a ± 15 V power supply all the time. Even if you purchase four as a monaural specification, if you buy it at the discount time, you can make a good quality power supply with a small space by adding a little bit of handling. This review is about item#87008354. This review is about item#87008345. 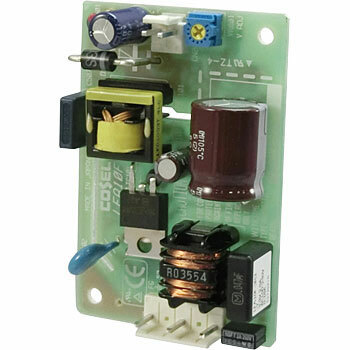 COSEL's switching power supply is of high quality, it can use a very good power supply when turning on the DC power with the diode direct. It is recommended at the lowest price where the price was also examined by brand new. It is the lowest price I know. When purchasing on Friday of the second week, it is 10% off so its timing is the target. This review is about item#87008336.